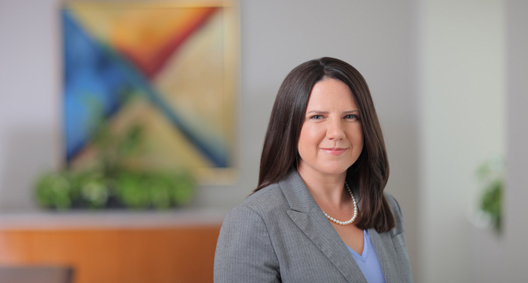 Melissa Bertke’s practice focuses on complex commercial litigation. Her client industries include manufacturing (aerospace, automotive, construction materials, medical devices and specialty chemicals), media (newspapers and TV stations), and energy (coal and gas). She has been involved in all phases of trial and appellate advocacy, as well as in the arbitration and mediation of disputes. As second-chair trial attorney, argued and won a directed verdict in favor of a television station and reporter in a case involving allegations of defamation and false light. Defeated subsequent appeal. Defeated counterclaims and obtained all requested relief at summary judgment on behalf of a natural gas supplier in an action for breach of contract. Secured payment on that judgment and persuaded the defendant to dismiss appeal. Defended paper company in CERCLA cost-recovery action seeking over $1 billion in costs. Represented aerospace manufacturer in multi-million dollar contract dispute arising from asset purchase agreement. Drafted briefs and supervised discovery. Utilized e-discovery tools to minimize financial impact of litigation. Represented publicly traded company during Department of Defense investigation related to government contracts and alleged False Claims Act violations. Represented truck manufacturer in $20 million contract dispute with truck part supplier before the AAA. Represented coal company in multiple appeals related to the Clean Water Act and 401 Certification before the Environmental Review Appeals Commission. Represented a specialty chemical company in a contract dispute. Developed strategy, conducted discovery, deposed key witnesses and drafted the summary judgment brief. Defended a national roofing manufacturer as lead counsel in multiple cases involving breach of contract and breach of warranty claims. Successfully defended a publishing company as lead counsel in a putative class action challenging delivery methods, obtained summary judgment dismissing claims and defeated appeals to the Eighth District and Ohio Supreme courts. Represented internet publishers on cases involving jurisdiction and statute of limitations issues unique to the internet and on cases involving the Communications Decency Act. Sabino v. WOIO, LLC, 56 N.E.3d 368, 2016-Ohio-491. Reddy v. Plain Dealer Publishing Co., 991 N.E.2d 1158, 2013-Ohio-2329, appeal not allowed, 136 Ohio St.3d 1559, 2013-Ohio-4861. T.S. v. Plain Dealer, 194 Ohio App.3d 30, 954 N.E.2d 213, 2011-Ohio-2935, appeal not allowed, 129 Ohio St.3d 1492 (2011), cert. denied, 132 S.Ct. 1637 (2012). Mattox v. Dillard’s, Inc., 8th Dist. No. 90991, 2008-Ohio-6488. Copeland-Jackson v. Oslin, 555 F.Supp.2d 214 (D.D.C. 2008). Great Lakes Capital Partners Ltd. v. Plain Dealer Publishing Co., 2008-Ohio-6495. Assisted in the high-profile appeal of a civil lawsuit resulting in compensation paid to an Ohio man who was wrongfully convicted of murder due to a coerced confession he gave as a child.